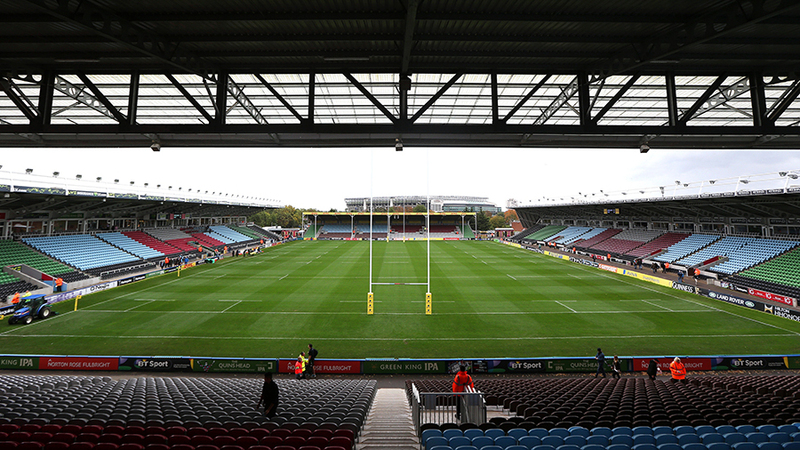 Rugby has always been branded as a “gentleman’s game” but with that comes a bit of snobbery. A lot of professionals over the years have come from private schools, and that perhaps has given the game a bit of a bad reputation for those that aren’t a part of it either directly or indirectly as a fan. But the game has taken huge strides in recent years to become more inclusive. The snobbery is still there in parts, but the game is nowhere near what it used to be. More and more players and coaches are coming from public schools and reaching the highest level. And the same can be said for fans. Seriously? Reserved parking for anyone that drives a Maserati? 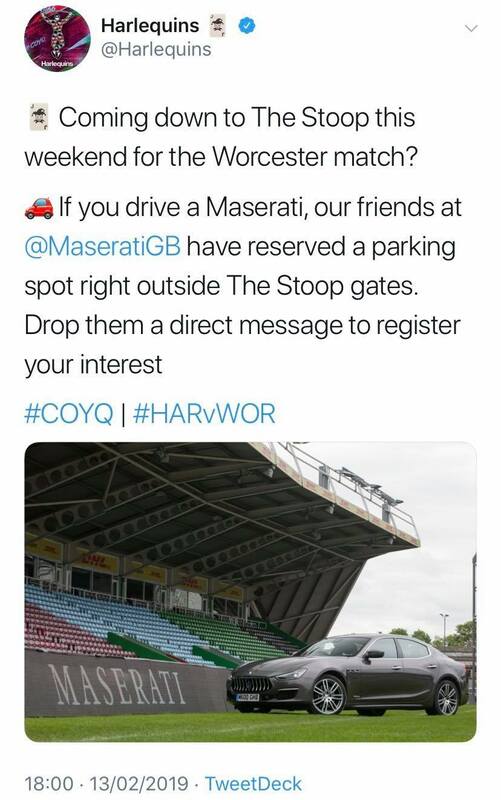 For anyone that’s now quite familiar with car makes, it’s like saying there’s special reserved parking this weekend in Thomond Park for anyone who drives a Ferrari. Absolute madness. The tweet as we said has now been deleted as Quins surely got a massive backlash from it. What will the poor Maserati drivers do now?